GILFORD — Gordon Palmer Denley, a longtime resident of Gilford, passed away Wednesday, Feb. 13, 2019, doing, as he would say, “the best he could with what he had left” at the age of 96. His children and the wonderful staff of St. Andre’s Health Care in Biddeford, Maine, were lovingly by his side. 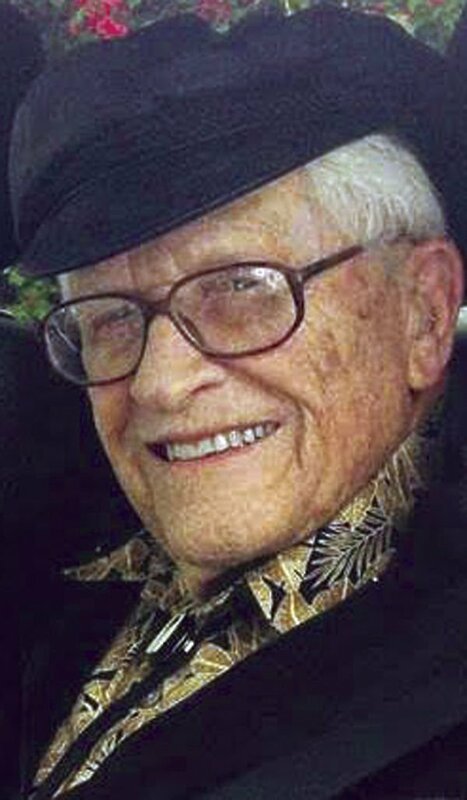 Gordon was born on June 3, 1922, in Brockton, Massachusetts, the son of the late Warren C. and Helen L. (Palmer) Denley. Gordon was a graduate of Tufts University, Class of 1945, where he received a bachelor of arts degree in Business. He was a lifelong member of Delta Upsilon Fraternity. He worked for Liberty Mutual Insurance Co. for 39 years, initially as a claim’s adjuster in Lynn, Massachusetts, and later in personal sales in Andover, Massachusetts, where he was most always a member of the Top Liberty Leaders Salesman’s Club across the country. 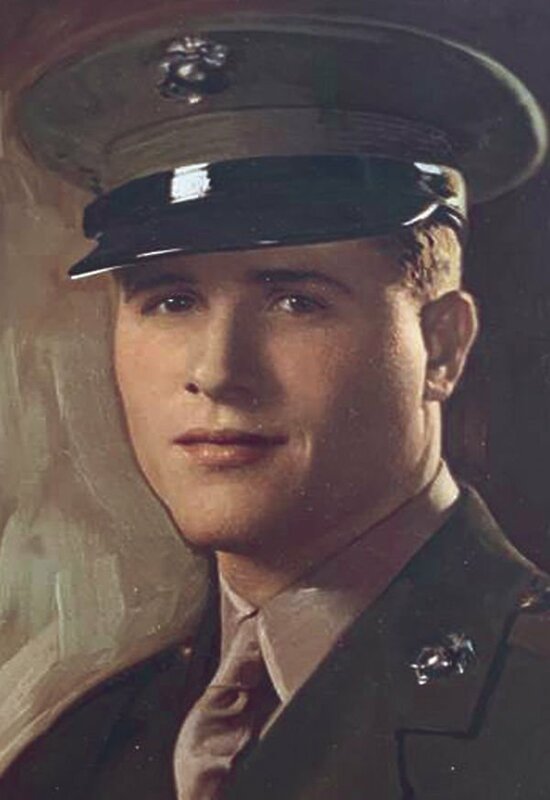 During World War II, Gordon served as a 1st lieutenant with the U.S. Marine Corps, in the Pacific. He was a member of the William Sutton Lodge F & AM in Saugus, Massachusetts. Gordon was a 32nd-degree Mason and a member of the Shrine International, where he was president of the Shrine Mini Patrol. He also was a member of the Gilford Community Church and the Winnipesaukee Yacht club. Gordon was stationed in California, where he met his wife, Helen. The couple resided in Beverly, Massachusetts, where they raised their three children. Gordon actively supported the Boy Scouts of America where he proudly encouraged many young scouts to get their Eagle Scout award. He served on the finance committee of the Second Congregational Church in Beverly and spent his spare time on Welch Island, Lake Winnipesaukee, building his family camp. Gordon and Helen relocated to Gilford to be closer to their camp and enjoy retirement. Together, they drove across the country at least six times, as well as participating in many European hiking trips with the Appalachian Mountain Club. Every winter, they would pack up their car, hitch up a boat, and drive to Florida for three months of fun in the sun. Gordon’s greatest love was for his family, friends, and his country. Gordon is survived by his sons, Dr. John Denley, D.M.D. (ret) and his wife, Susan, of Readsboro, Vermont, and Attorney William Denley and his wife, Susan, of Sanbornville; a daughter, Diane Hebold, and her husband, Walter, of Casco, Maine; his eight grandchildren and seven great-grandchildren, CMD Eric Denley, USCG (ret) and his wife, Amy, with their children, Eliza, Molly, and Isaac, Jarrett Denley and his wife, Kristi, with their children, Alex and Nicholas, Brian Denley, Geoffrey Denley and his wife, Malori, Andrew Denley and his partner, Avani Gilbert, with her son, Rio, and Lt. W. Bradford Denley, USMC, Joseph Trafton and his partner, Kaia Kallweit, Emilee Conrad and her husband, Greg, with baby on the way; as well as many nieces and nephews. In addition to his parents, Gordon was predeceased by his loving wife of 72 years, Helen Gestring Denley. There will be a Graveside Service on Saturday, May 11, at 11 a.m., at the Raymond C. Wixson Memorial Garden, 19 Potter Hill Road, Gilford. For those who wish, the family suggests donations may be made in Gordon’s name to the Shriners Hospital for Children, 51 Blossom St., Boston, MA 02114; or to the Gilford Community Church, 19 Potter Hill Road, Gilford, NH 03249.